Drivers took to the pit lane drag strip on Friday night for the final opportunity to tune-up their car and skills in preparation for the O'Reilly Auto Parts Friday Night Drags season points opener in two weeks. Under clearing skies and warm temperatures, the action heated up in the final non-points race of the 2018 season. Eighteen racing divisions went head-to-head in one of the largest organized street-style drag racing series in the nation, with single-elimination competition determining each winner. Vehicles ranging from souped-up muscle cars all the way down to factory cars and daily drivers saw action on the pit lane drag strip. Heather Utt of Fayetteville found victory lane for the second time in her career with a final round victory behind the wheel of her 2014 Ford Mustang in the Sport Compact Division. "I really had to concentrate on driving my car with the set up that it has," said an excited Utt following the victory. "I really had to watch my RPMs off the line and make sure I didn't beat myself at the light. And then it was just about letting my car take care of business because it's capable." Utt stormed off the line in the final to defeat the 1991 Honda CRX of Griffin's Tyler Hatchett as both drivers put in work to prepare for the upcoming points opener. "I still have some things to work out with such a heavy car compared to lighter cars in my class," explained Utt. "But at least now I know the track that I'm working on to improve my skill and to match what my car can do better to hopefully repeat this performance." Ed Blanford continues to fine tune his machine for the 2018 points season as he earned his second win of the year in the Starfire Automatic Gates Truck Division. Blanford, who earned the victory last week on opening night, downed James Ragsdale of Hampton for the second straight week. DeAndre McMullen of Rex has his competition covered in the Factory Street Division with his second consecutive win of the year. McMullen's 2008 Pontiac G8 easily outraced the 2018 Camaro SS of Taquarious Lewis of Atlanta in the final. Other notable Week Two winners include Scott Charette of Locust Grove in a 1995 Pontiac Firebird as he earning the final round win in the Summit Racing Equipment Sportsman along with David Smith of Jackson behind the wheel of a 1990 Isuzu in the Harding Plumbing, Heating and Cooling Domestic division. 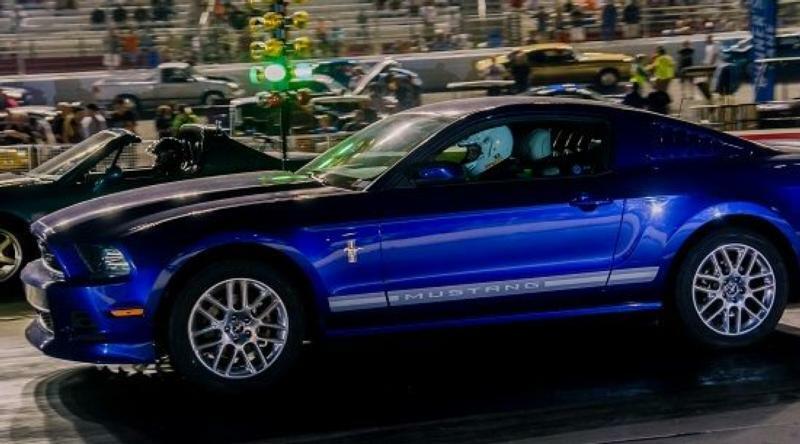 Atlanta Motor Speedway's O'Reilly Auto Parts Friday Night Drags & Show-N-Shine returns to action with the season points opener on Friday, June 1. Grandstand gates open at 6:30 p.m., and nightly drag race eliminations start just after 9:00 p.m.